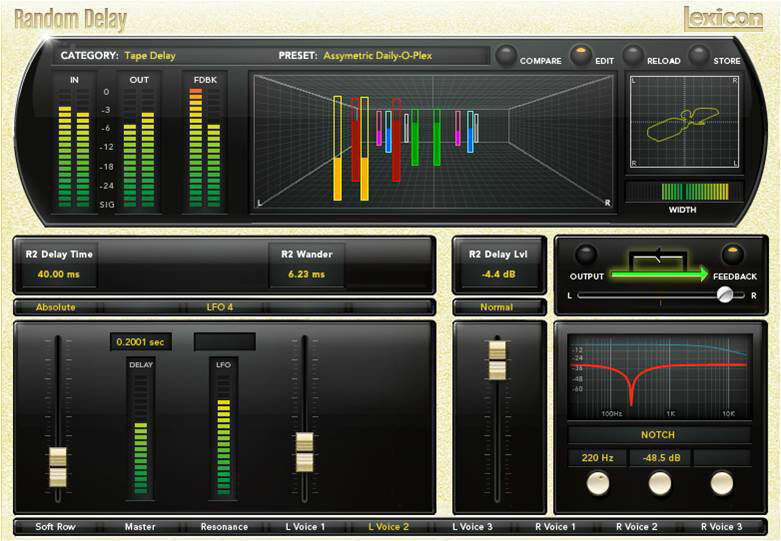 For over 40 years Lexicon® has been considered the gold standard of digital reverb and effects processing. Now that same distinctive, smooth, rich “Lexicon Sound” is available as a collection of native plug-ins. 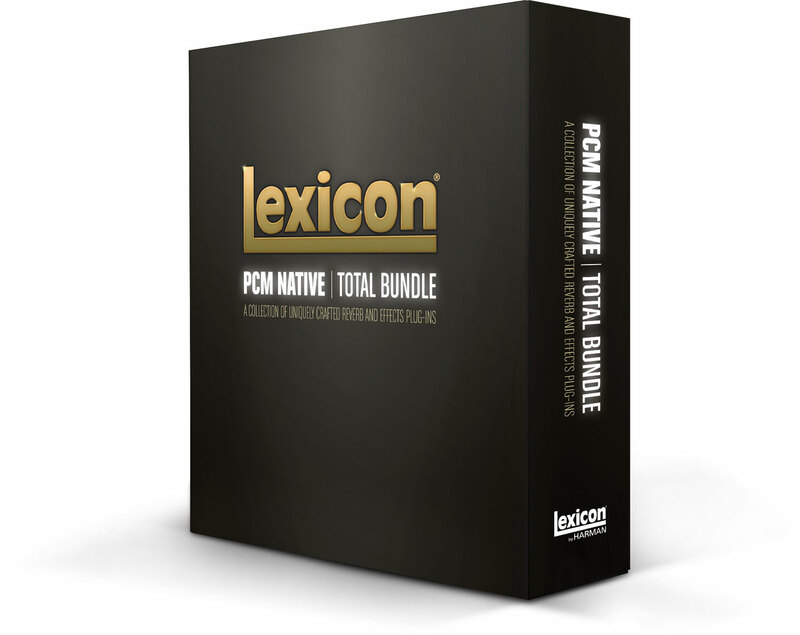 The PCM Native Total Bundle delivers 14 legendary Lexicon® reverb and effects plug-ins with hundreds of the most versatile and finely crafted studio presets. An artful blend of heritage and innovation, the PCM Native Total Bundle is the ultimate studio plug-in package for creating professional, inspirational mixes within popular DAWs such as compatible host. Designed to bring unsurpassed sonic quality to all of your audio applications, the PCM Native Total Bundle will take center stage in your DAW. Each algorithm can be run in mono, stereo or mono in/stereo out. We’ve taken the time to add Input, Output and Feedback Meters in addition to Stereo/Phase metering. The most noticeable feature, however, is center screen in a multi- dimensional realtime display. With three animated screens to choose from, all showing different realtime visualizations of the algorithm to help you shape your sound. With a wide array of adjustable parameters, you have the option to take the preset as it’s carefully been crafted, or do further tweeking of your own and save it off once you’ve compared it with the original. You’ll also have the ability to load that preset into a different DAW. 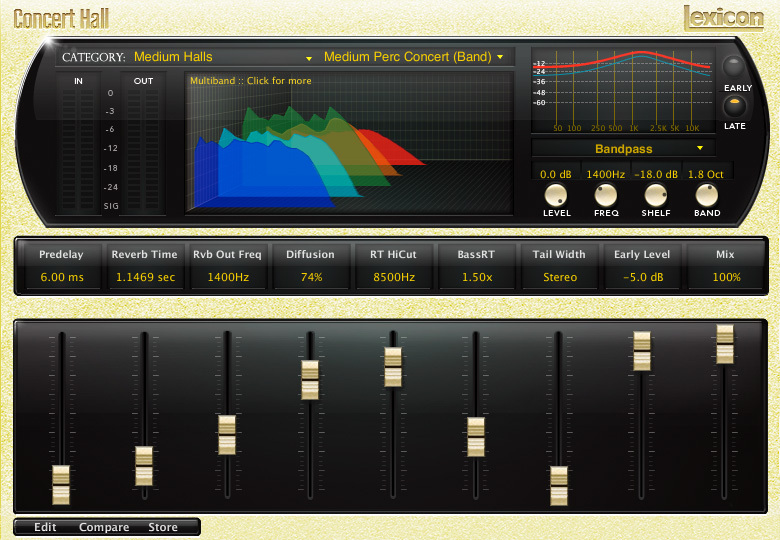 The PCM Native Total Bundle is a fully functional cross-platform plug-in solution. It has been designed with flexibility to fit into the hardware/software platform of your choice. The installer includes AAX, AU, VST, and RTAS versions of the plug-ins. The updated versions of the plug-ins are available now for download at lexiconpro.com.